It is an exciting time to be involved in researching literature and fiction. There has been an explosion of interest in empirical approaches to understanding narrative, marked by growing numbers of published studies, the birth of a new journal, and accompanying media interest. To this list, we can now add the establishment of an important new research institute: the Max Planck Institute for Empirical Aesthetics. The Max Planck Society in Germany was established in 1948, with a mandate to create separate research institutes with a reputation for providing top-notch resources and independence for its scientists. The model has been extremely successful, with at least 17 Nobel laureates having been recognized among their staff. 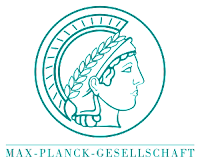 Currently, there are over 80 Max Planck Institutes driving research in a broad range of topics, from the humanities to the hard sciences. This newest institute will focus on scientific approaches to studying music and literature, and will be headed by Prof. Dr. Winfried Menninghaus (language and literature) along with Prof. Dr. Melanie Wald-Fuhrmann (music). Located in Franfurt/Main, this institute has enormous support from the state government who will be providing a total of about 45 million euros in support. With an estimated annual budget of 10 million euros per year, this institute is sure to produce some fascinating new research of interest to our OnFiction readers. The institute is currently seeking PhD students and post-doctoral fellows, for those looking to contribute to this new enterprise.